If you like to build a master key lock system in Uxbridge, ON, we are at your disposal. These systems must be planned with attention to the requirements of each building. 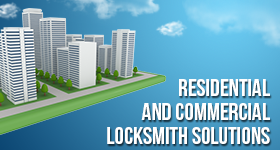 Our company can send out reliable locksmiths to help you with such projects. Experienced with rekeyed locks, they can rekey yours so that they will work with one common key. If you like more complicated systems that will include more than one master key, let us assure you that the service will be done with great accuracy and in accordance with your needs. Contact Locksmith Uxbridge for further details. With a customized office master key system in Uxbridge, Ontario, things get much easier for everyone in the company. Since there are many variations, you can choose the design you want for your building. Need to give a master key to the super? Want extra master keys for the managers of each department? Everything is possible. With the skills to rekey locks and thus build any master key lock system, the pros can satisfy your needs. Whether this is an office, commercial, or apt building master key system, the important thing is to have a convenient design. The locksmith can rekey the locks so that they will work with the master key. But some master keys might only open a few doors. It takes expertise to rekey locks in such a way as to operate with master and change keys. The change keys are the ones the tenants keep to open and lock their personal doors. 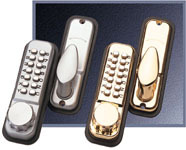 Master key systems give you the freedom you want to control who will have the key of which door inside a building. They also help since master keys can unlock all or some prearranged doors. And so nobody will have to carry a lot of keys to enter an apartment in the event of an emergency or get access to the maintenance room. Let us help you with the installation but also service of these systems. Need master key lock system Uxbridge service? A locksmith will be there to either build a new system or help with the existing one. Call us.